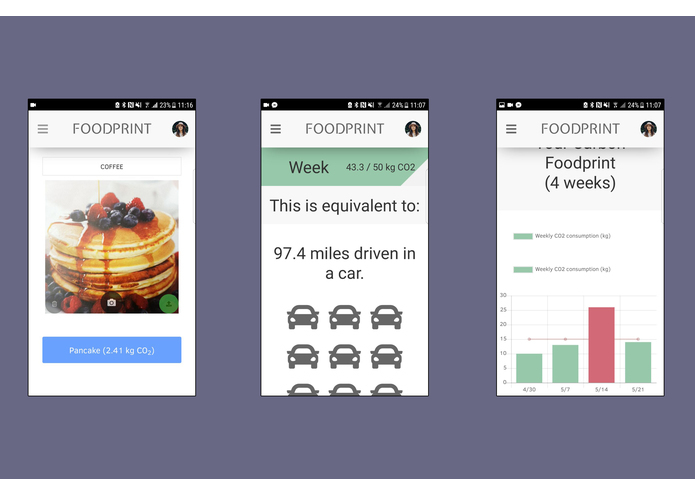 Make more sustainable food choices by tracking and analyzing the CO₂ impact of your meals. We've often found ourselves wanting to eat less food that has a heavy impact on the environment. Especially meats and dairy require huge amounts of water and energy to produce. Additionally, tremendous amounts of carbon dioxide or other greenhouse gases are released in their production. Sticking to a vegetarian diet can be hard, though, so we wanted to motivate people to at least reduce their consumption of meat in their day-to-day life. 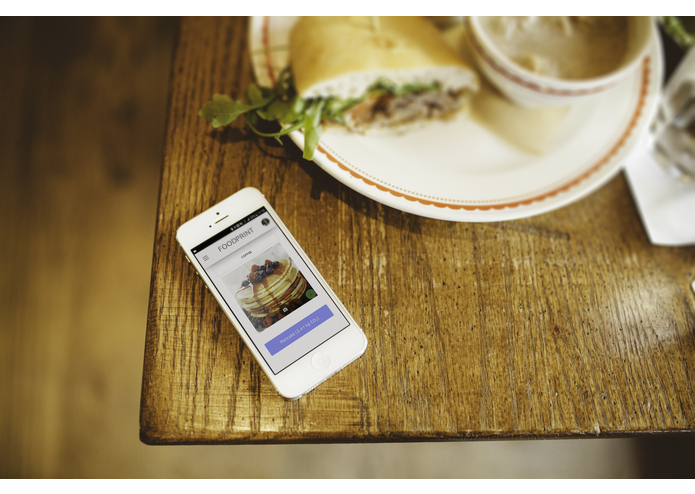 Foodprint automatically recognizes the CO2 impact of your meals - from a single picture! From your meal history, we visualize your food's impact on the environment. The service allows you to track your carbon foodprint with minimal effort and shows possibilities to improve your food style. We build a frontend on top of ReactJS, UIKit and PWA to take pictures of your food and send them to our backend server, which is built in Python Flask. It analyzes the pictures through the combination of google-cloud-vision and a recipe crawler. Furthermore, it is responsible for storing the meal data and providing aggregated, enriched and personalized statistics, which we display in your personal statistics pages. Capturing video streams from mobile devices inside web applications. Good APIs for recipe data are very expensive, so we rely on scraped data. Coming up with an idea, sketching an app and service for it and implementing a usable prototype, within 24 hours was really amazing! Productivity reaches a low at 2:30 am. We want to recognize more ingredients from the scanned images and improve our foodprint calculations. We want to suggest less polluting recipes based on the dishes that the user eats regularly. We want to extend the service on commute and travel emissions. (Bonus:) Include your personal Instagram feed.